Fashion and beauty go together, and it is not uncommon for those who are fashion conscious also to want to know what the best spa resorts are. In Canada, there are numerous top-notch spas located throughout the provinces. Temple Mountain Spa: The Post Hotel and Spa located in Alberta is well recognized as being one of Canada’s most elite spas. The spa at this Hotel is The Temple Mountain Spa. It has the mandate of focusing on health and beauty as being closely intertwined. The spa offers a variety of body treatments that include flower and mud treatments along with Swedish massage and a whole gambit of other services. 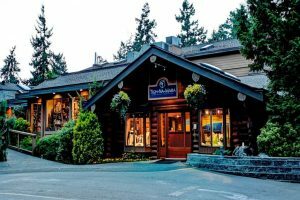 Tigh-Na-Mara Spa: The Tigh-Na-Mara Seaside Spa Resort can be found on the Vancouver coast in Parksville. Those who are interested in the most unique spa treatments can enjoy some time in the mineral pool. There is a whole list of spa services to choose from that include beauty enhancement as well as relaxation. Ste. Anne’s Spa: This spa is well known for their overnight packages. It is located in Grafton and is widely used by both residents and visitors to Ontario. Spa services focus both on beauty and wellness. Treatments include hot stone massage and body polish. The environment in which the spa treatments are carried out at Ste. Anne’s Spa is exceptional. In the warm summer months, many of the spa services are carried out in a beautiful garden setting. JW Marriot: This is the Rosseau Muskoka Resort and Spa located in Minnet Ontario. The spa offers a full selection of the very best in beauty and wellness treatments. This establishment focuses on natures elements which are wind, water, and rock as their inspiration for the roster of treatments they have to offer. Bota Bota: The spa experience here starts with the unique environment in which this spa resides. It is a floating spa as it resides on a boat. Although considered to be a luxury spa it is found to be one of the more affordable ones. There are discount prices available during specific hours. Spa St.James: This spa can be found located within the Ritz Carlton in Montreal. As a top-notch spa, it has received several awards from the Canadian Spa and Wellness. It is a large spa that has maintained a luxurious yet cozy atmosphere. They are well known for their signature treatments that are carried out by some of the best professionals in the business. Sublime Wellness: While in Calgary, many people take advantage of what the Sublime Wellness Spa has to offer. Their attention is placed on integrative medicine with a healthy focus on fitness and nutrition. The concept is that beauty begins on the inside. Wellness plays a critical role in this. Throughout Canada, there are many different types of spas, many which are in a resort setting. A lot of them are combined with exquisite hotel services. Then there is a collection of them that are stand-alone establishments but do offer accommodation. Aside from this, there is also a large selection of day spas where patrons can go to spend a day being pampered. Not only do these spas use highly trained professionals to carry out their spa services, but they also use the very best of products. Many of the spas have chosen to combine beauty with wellness.